Our cheap double sided print holders are available in A6, A5, A4 and A3 in both portrait or landscape versions. 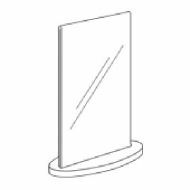 Ideal to hold your menus or notices, and double the opportunity for your promotions as stand straight up so you can see your notice from both sides. 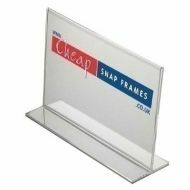 Free standing, clear print holders give you maximum flexibility, storage and transport. The base is open, so it is really easy to change your notices. Manufactured in 2mm clear acrylic, with polished edges, and individually bagged. Cheap prices from only £1.60 + VAT and quick delivery. No minimum order value, flat rate delivery charge only £10 + VAT to London and UK mainland. Our fantastic double sided acrylic print holders have all the versatility and style of our single sided print holders but with the added advantage of being double sided. These print holders have a flat base and the print area is vertical, meaning both sides of your poster is viewable. Display them on your reception desk at the gym or hotel; use them to display menu prices in café’s and restaurants; service info and check out info at hotel receptions; or use them at your point of sale to display important information. 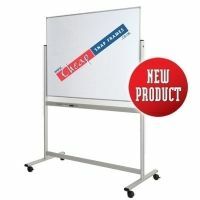 They are also available in a range of sizes including the very small A6 acrylic double sided poster holder. Are these print holders suitable for outdoor use? No, these print holders are not sealed so they are only suitable for indoor use. If you want something for outdoor use, why not take a look at our Waterproof snap frames. How do I change the contents? It’s really easy to change your contents. The two side edges are open so you can slide your poster in and easily slide it out again to change it. 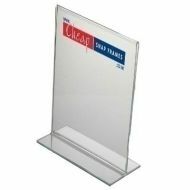 These plastic double sided poster holders are perfect for displaying latest offers or membership joining info at gyms and clubs. They are also great for displaying breakfast and dinner times at hotel receptions, or service information at clubs or hotels. These print holders come in a variety of sizes and are also available in portrait or landscape format. These print holders also have two different bases – a rectangular base and an oval base. Now you can choose what suits your décor best.